This summer comes yet another one life-affirming, gentle, a little clumsy, but nevertheless charming comedy Way Way Back. The studio which brought us once such heartwarming stories as Juno and Little Miss Sunshine is about to restore our faith in humanity one more time. It might seem that nothing could be said more about the beauty of the human soul in the guise of an extremely awkward shell and the importance of genuine values than it already has been said, but there are many possible points of view. 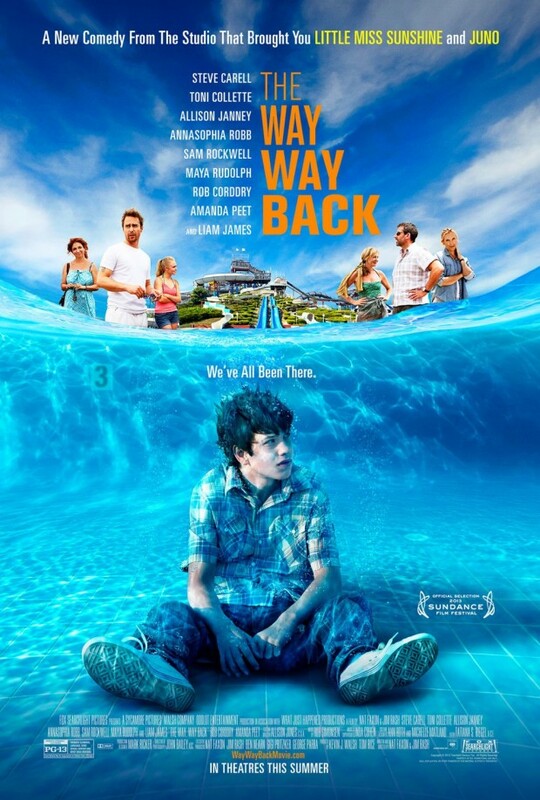 The Way Way Back trailer is colorful, funny and really heartwarming. This time, we see a socially-awkward teenager boy (Liam James), who is constantly bullied by his mom’s douche boyfriend (Steve Carell) and has no basics of social knowledge whatsoever. Such stories of rebirth, even in such a short time and under such comical circumstances, always touch to depth of soul. It is unlikely that a summer at an Aqua park and several new acquaintances can abruptly change human’s life. However, this is precisely what happens in the The Way Way Back. And it is portrayed so natural and beautiful, that not to believe it is simply impossible. So, as Way Way Back trailer shows, no one believes in young Duncan, and over time, Duncan himself ceases to believe in his powers. Duncan's mother refuses to perform her duties as a mother and as a human being and is now devoting time to the new boyfriend of hers. Duncan never had any friends to care about him, so now he founds himself to be desperately alone and useless. Mother 's despicable boyfriend, in a feeble attempt to create the appearance of help, brings the whole family to his beach house to stay over summer. And this is exactly where the magic happens. Desperate Duncan finds himself a true spiritual mentor (Sam Rockwell), who explains to him how important is to keep faith in yourself and how unimportant is the opinions of others. Over time, Duncan becomes stronger and stronger, so he finds a lovely girl who, of course, is at first confused, but then falls for changing Duncan more and more. Throughout the movie, we trace the emergence of Duncan as a man and as a person. All this comes easily, effortlessly , in the relaxed atmosphere of a summer frivolity. It takes only one dig deeper, and immediately comes the realization that The Way Way Back is not just a mindless comedy, aimed at the budget fees. It is a gentle, witty and very visual guide on how to become a real man, how to be strong and stand behind your words. How to resist the bullies and fools, how to forgive, how to love? We will find the answers to all these question on the 28th of August.